WH Hostess Holiday Giveaway Winner! Playgroup Party: Operation Give Thanks! 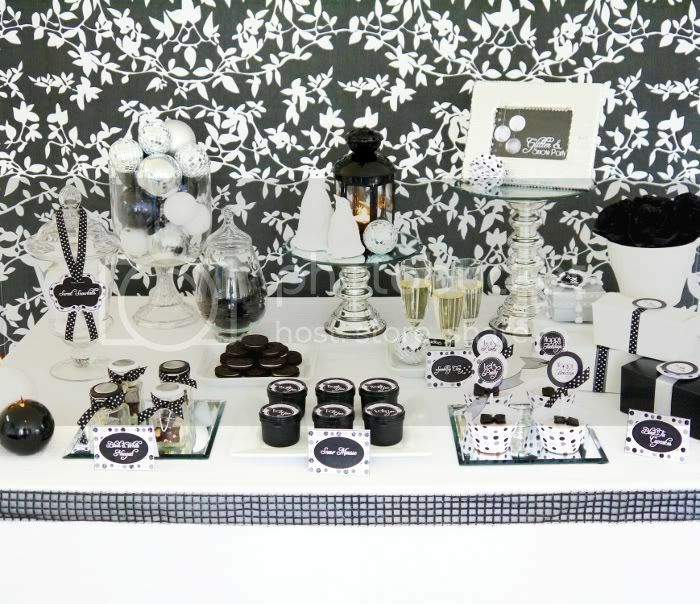 Whenever my friend, Cindy Gatewood, hosts a shower, I know it is going to be amazing. I am IN LOVE with this Anthropologie-inspired bridal shower Cindy hosted (along with several other very talented ladies) for bride-to-be, Jill. 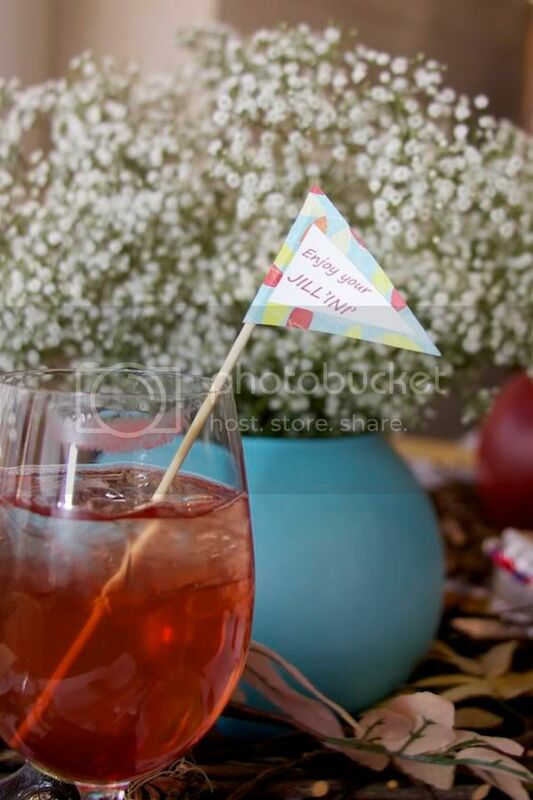 The party was captured by the talented Angela Francis of Bella-Smile Photography. The setting was perfect. 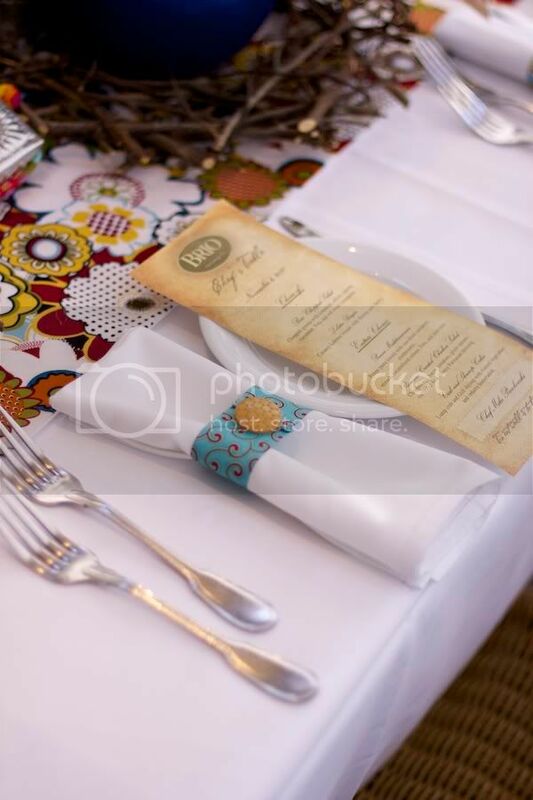 The luncheon was held at BRIO Tuscan Grille in the new City Centre here in Houston. 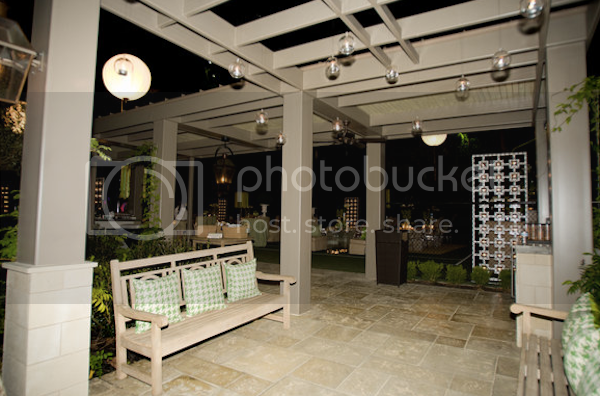 The gathering took place on the outdoor patio which lent for a neutral and organic space. 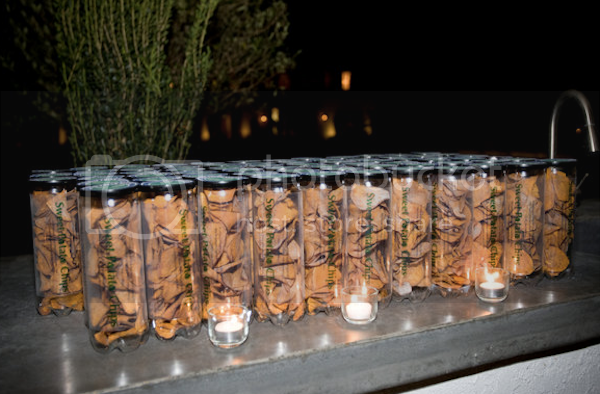 What I love about this party are all of the handmade details. 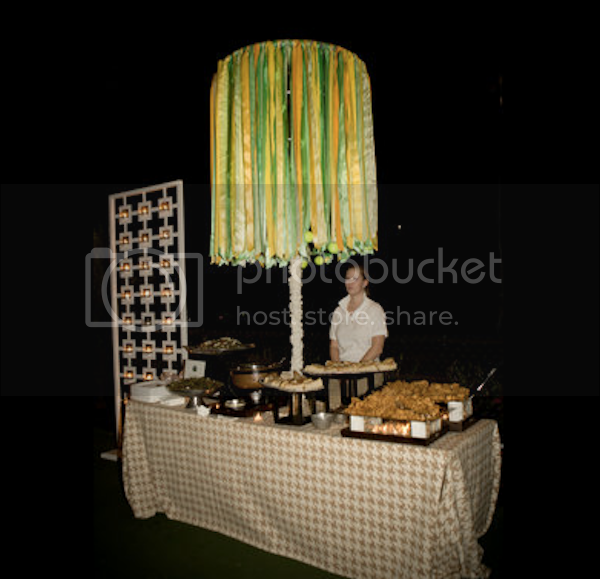 The hostesses styled the tables themselves along with all of the centerpieces. 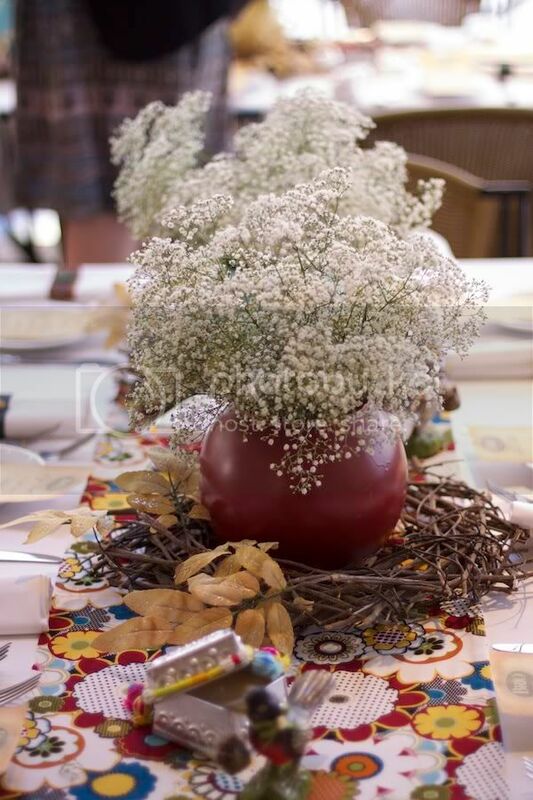 Don't you love the baby's breath arrangements?! The ladies purchased fabrics and went to work creating table runners, napkin rings, favor ties and even the apron on the mannequin. Yes! The apron was made by one of the hostesses which I could not believe! 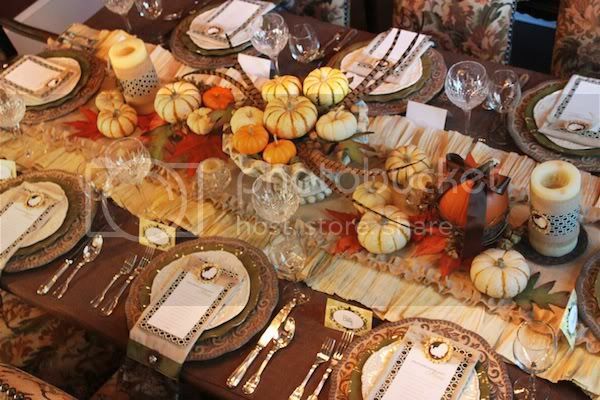 The favor table was precious and perfectly styled! 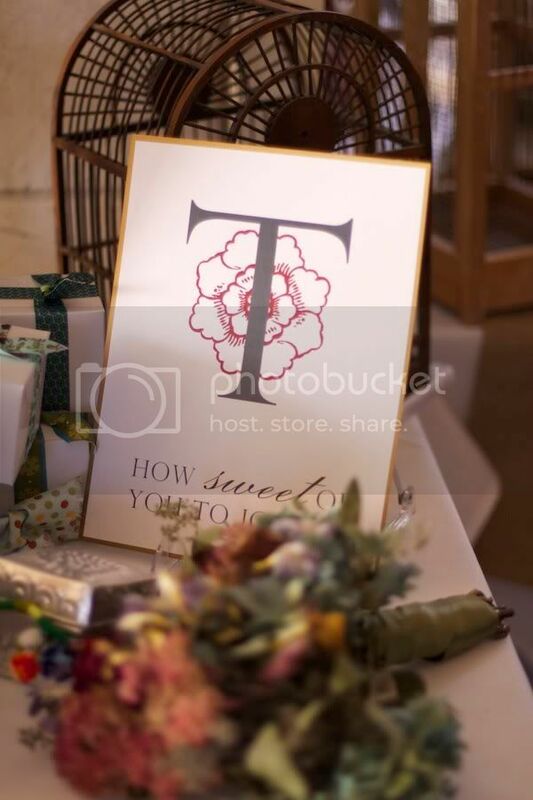 My good friend, Hayley Hardcastle, designed all of the gorgeous paper products including the favor table sign. 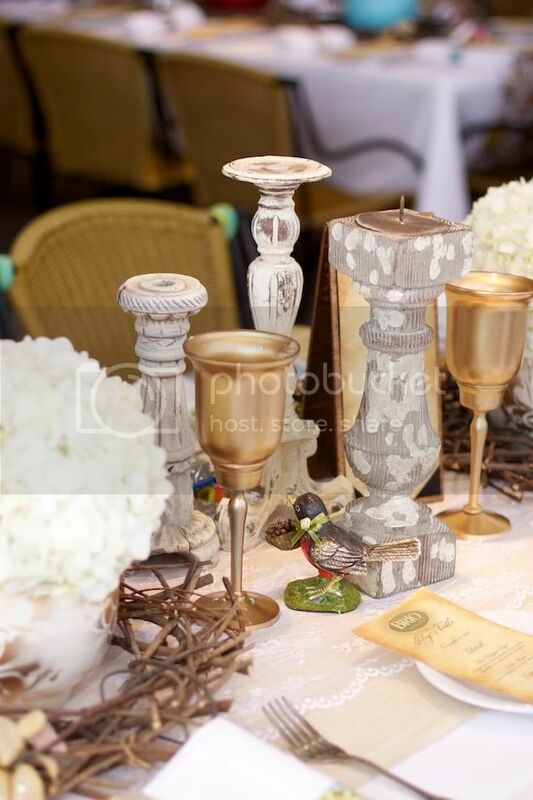 Another amazing handmade detail besides the napkin rings seen above are the vases. 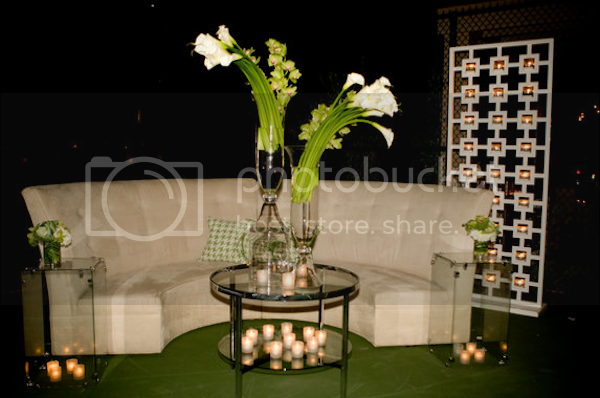 All of the vases were spray painted and a few were stenciled with a beautiful floral pattern! 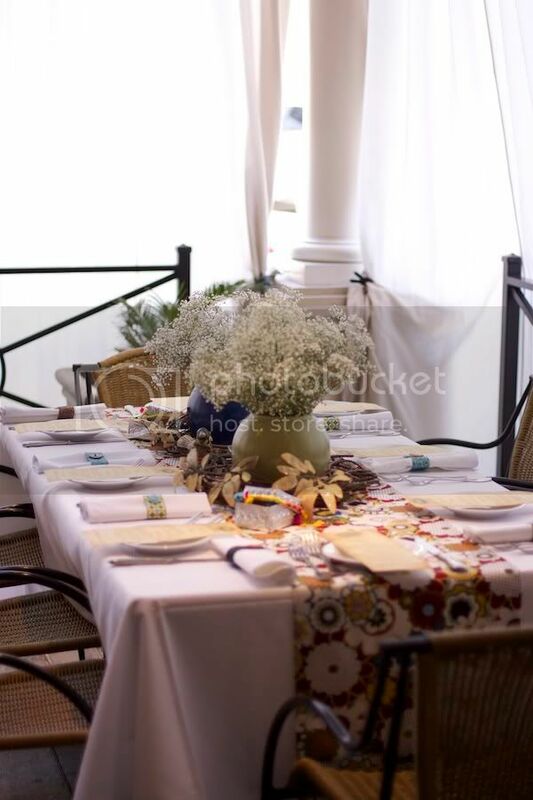 The table with aprons tied to the chairs was the reserved table for Jill and her family. 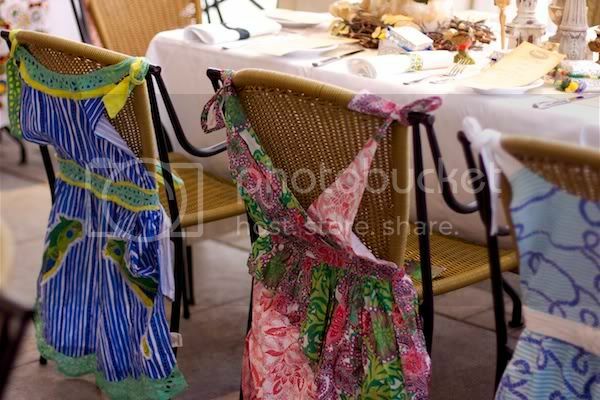 The lucky ladies got to take home the Anthropologie aprons as a gift! 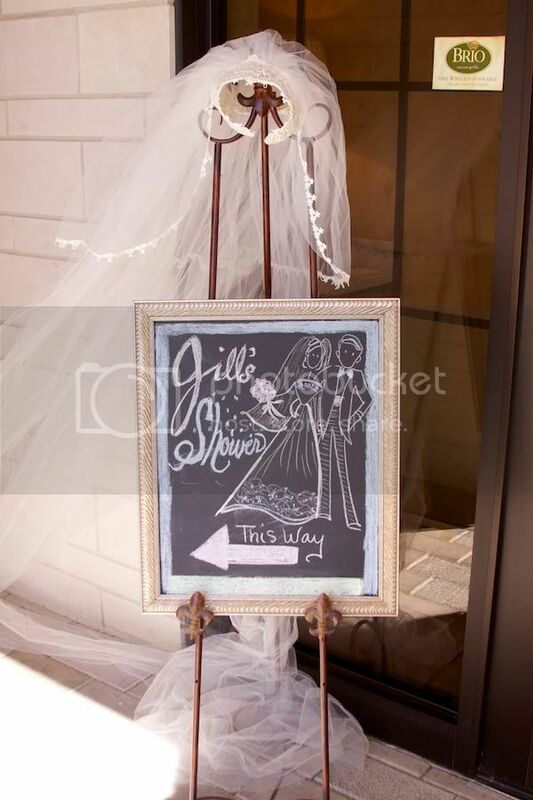 The specialty drink of the day was a "Jill-Ini"...a nod to the bride's name which is Jill. CUTE! 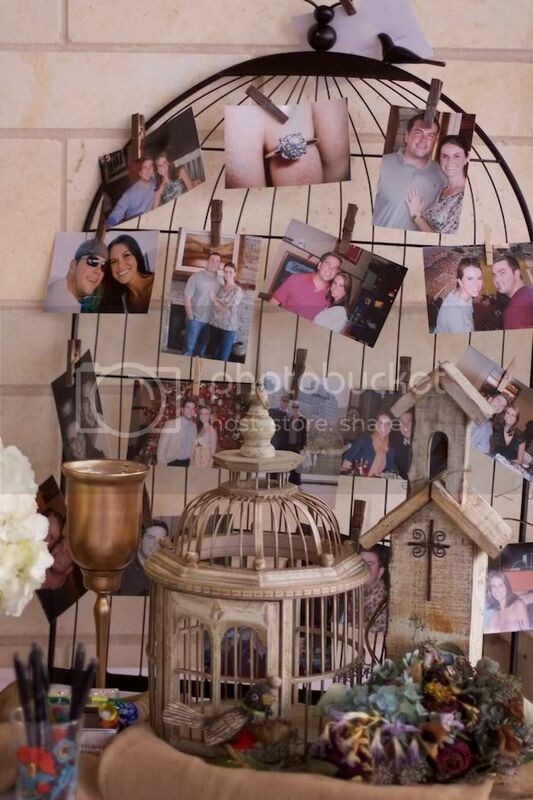 Cindy and her talented friends handcrafted a gorgeous shower for Jill that I am sure she will always remember! 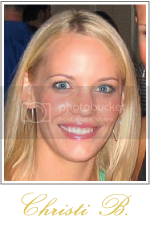 Congratulations to Jill on her upcoming wedding THIS weekend! 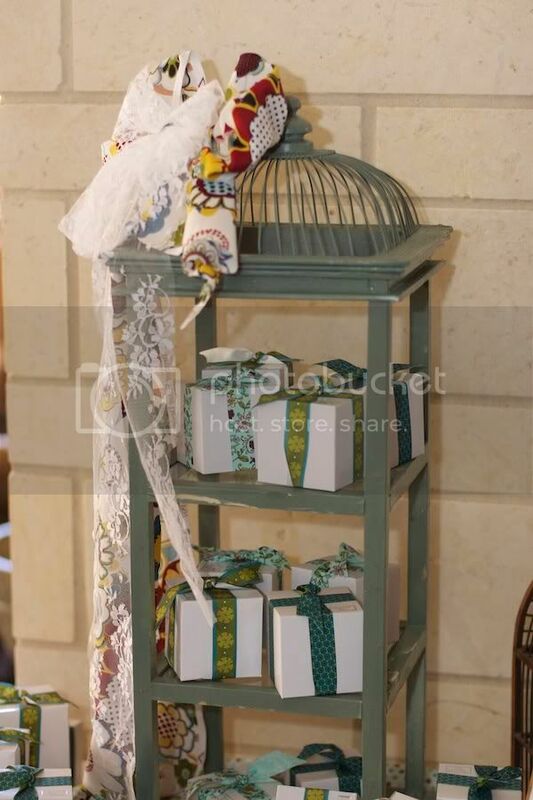 Let's kick of the Christmas season with a ultra chic and stylish table designed by Bird's Party (Bird Crafts)! 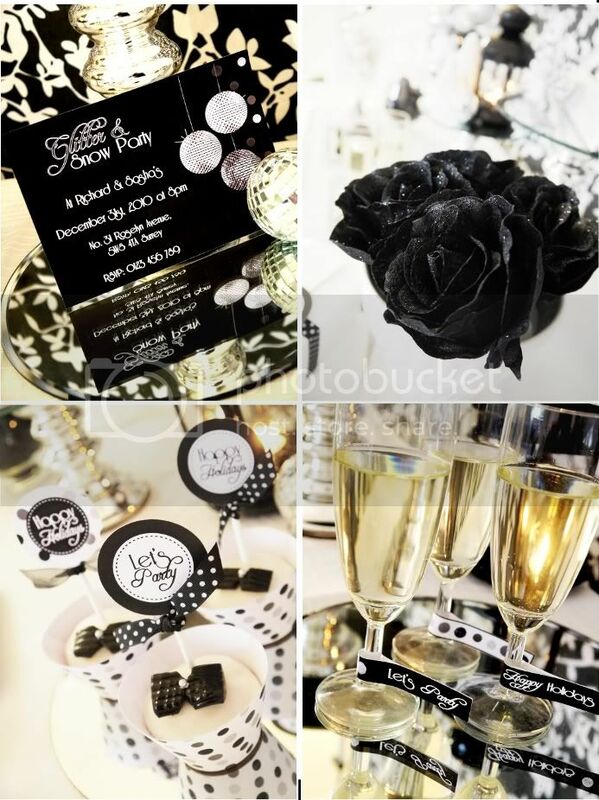 If you are looking for a glam party idea, this is it! 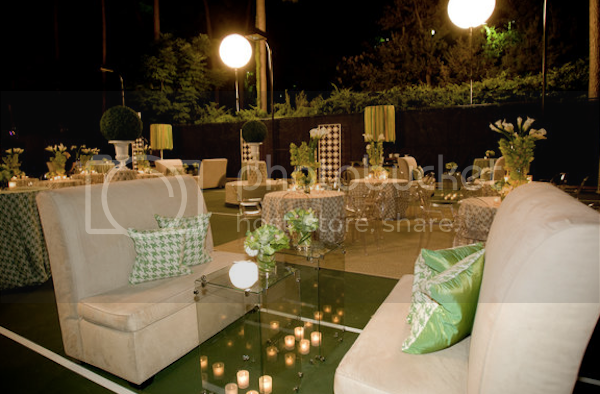 The colors and designs are perfect for a grown-up soiree full of glitz and glam. 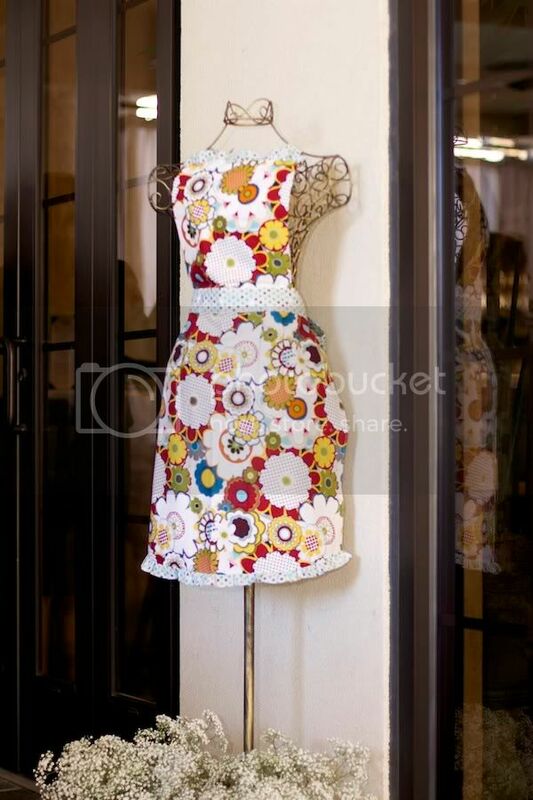 It's also a perfect design for New Year's Eve! 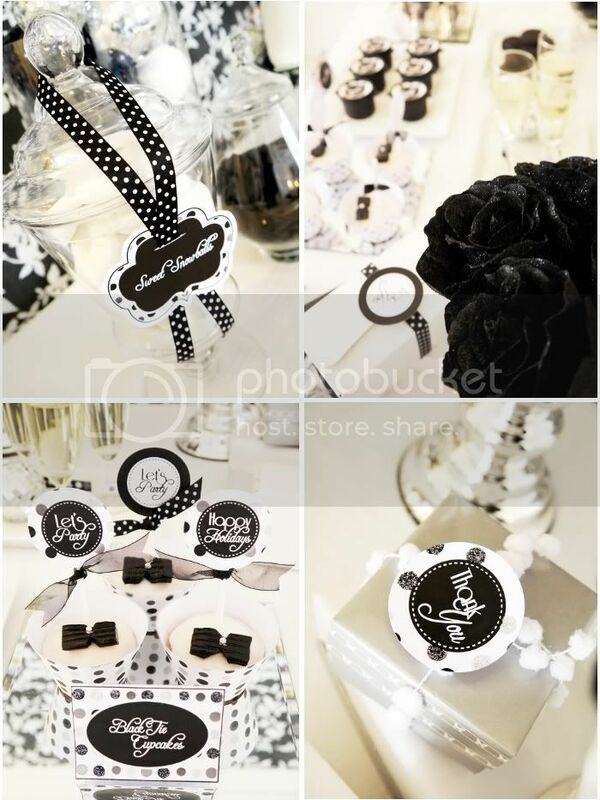 The black and white party collection includes invitations, party labels, stylish drink tags for champagne flutes, favor tags, thank you labels, candy jar labels, place cards and even CUSTOMIZABLE templates!! You will forever love me for this recipe! 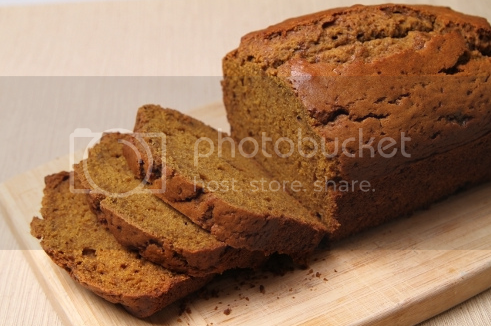 Seriously, this pumpkin bread is phenomenal and people will be asking you for the recipe. The recipe comes from a college friend whose family has baked the bread for years. Ever since I got my hands on the recipe, I have made it many times during the fall and winter holidays. I just made two loaves tonight to freeze and then serve on Thanksgiving morning! * Then, add the bowl of dry ingredients to the egg/pumpkin mixture and mix. * Add tsp of vanilla and stir again. Spray muffin tins or use liners and fill about 3/4 full. Bake at 350 degrees for 15 minutes. Makes around 30 muffins. Spray two loaf pans and divide batter evenly between the two pans. Bake at 350 degrees for 45 to 55 minutes. 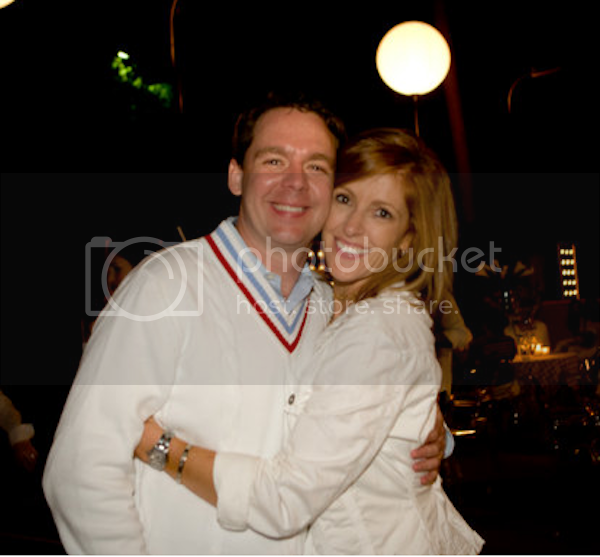 My good friend, Christine, recently hosted one of the best parties I have ever attended! That's because the length she went to, to entertain that evening, would compare with a wedding reception. 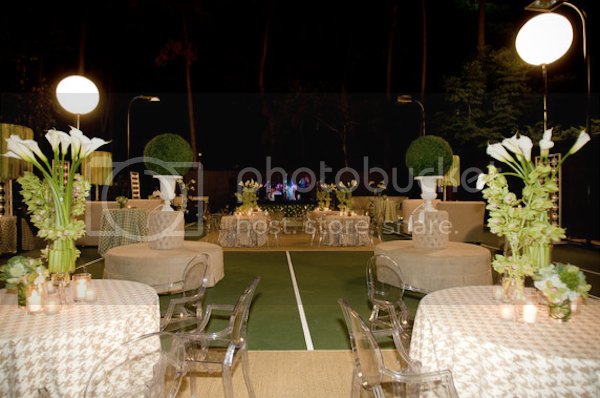 But the occasion was intended just for a fun night out and to celebrate the completion of the tennis court on their property. I know...amazing, right?? 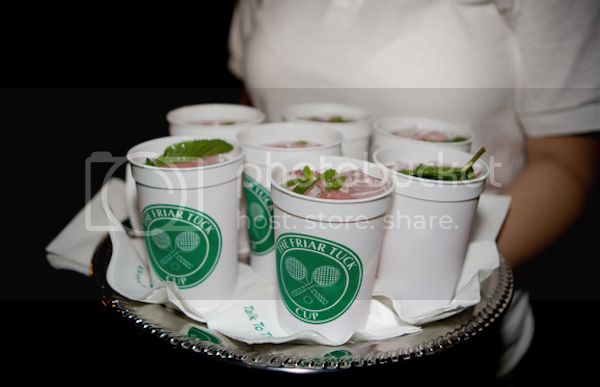 The party was called The Friar Tuck Cup which was named after their street. 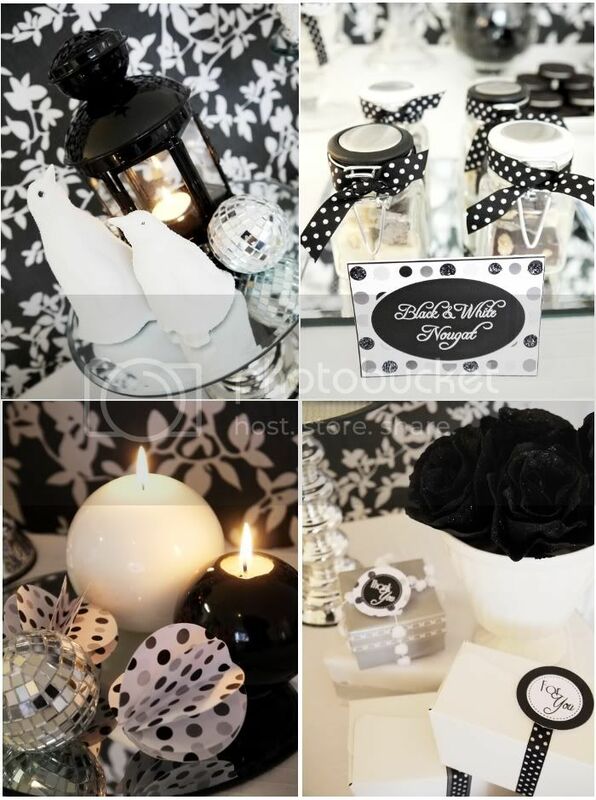 I wish I had an invitation picture to share with you! One morning, I awoke to a small box on my doorstep. 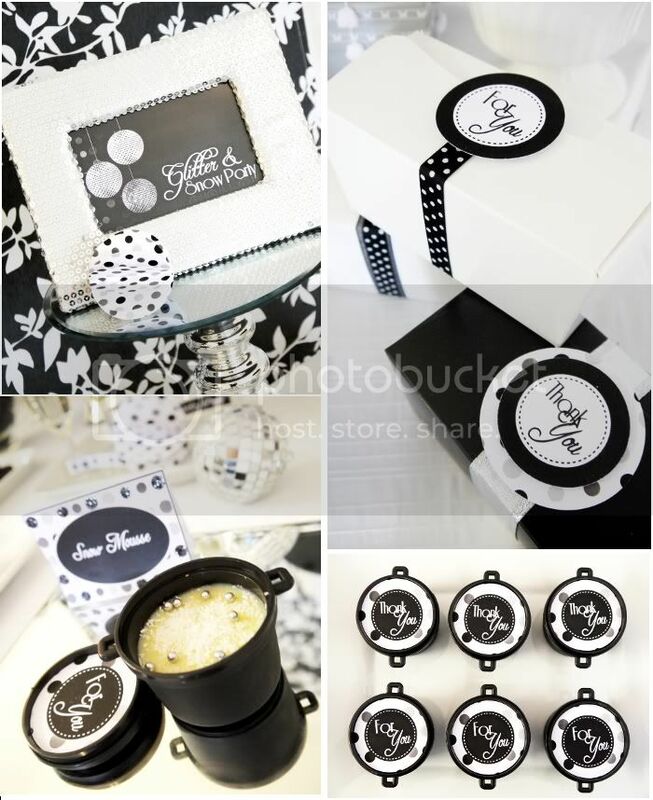 It was a white box that contained a tennis ball packed in crinkle paper and the round, flip-book invitation was tucked inside. 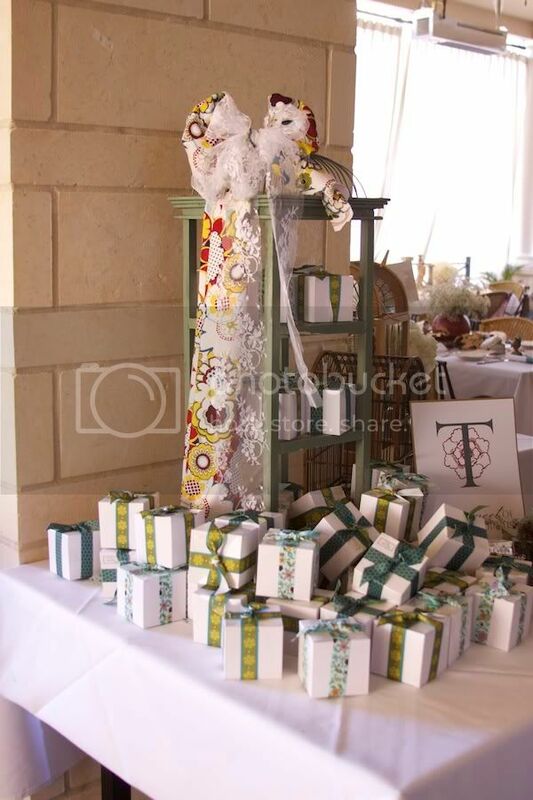 Amazing presentation and designed by Atelier du Papier! 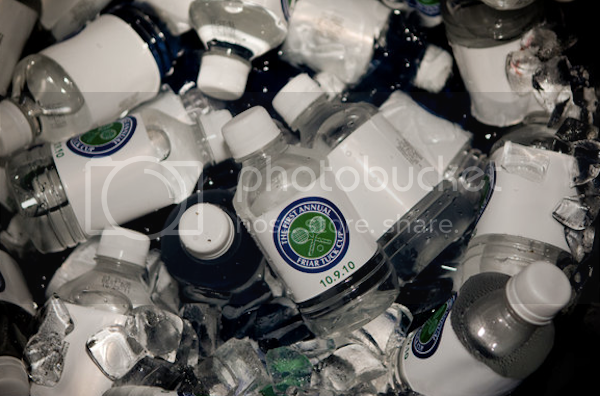 All of the real tennis players were invited to play in a tournament that day and the rest of us, who just wanted to party, joined in the fun that evening. I knew it was going to be an unforgettable evening, but my jaw still managed to drop when I pulled into her gate. 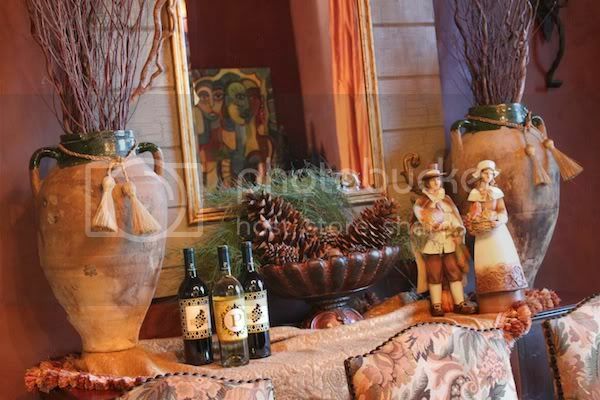 I could tell right away that the decor was phenomenal. 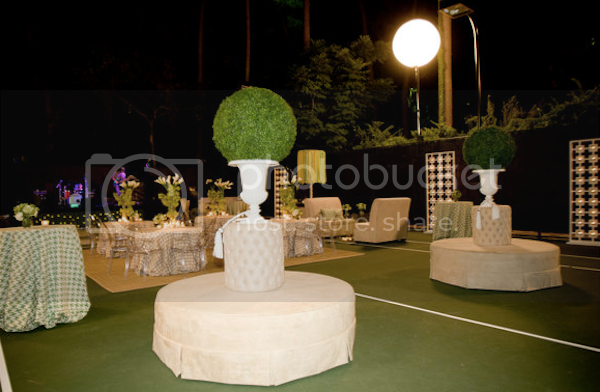 After the tournament was finished, Events in Bloom swooped in and turned the tennis court into a preppy lounge area and dance floor. 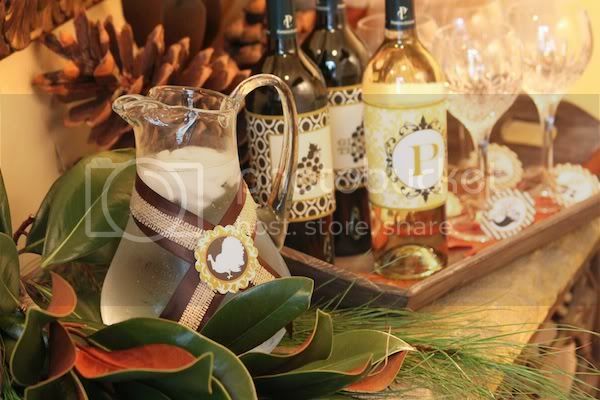 The party colors consisted of yellow, green and navy and you saw touches of the palette all throughout the space...from the custom houndstooth pillows and tablecloths, to the ribbon chandeliers, napkins and drinks. 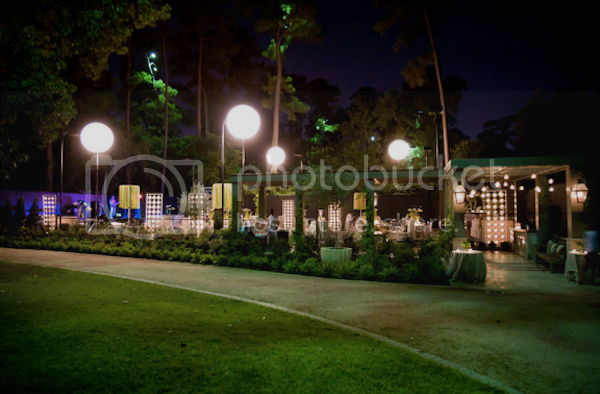 The decor was simply stunning, and for this event planning junkie (me! ), I was in party heaven. 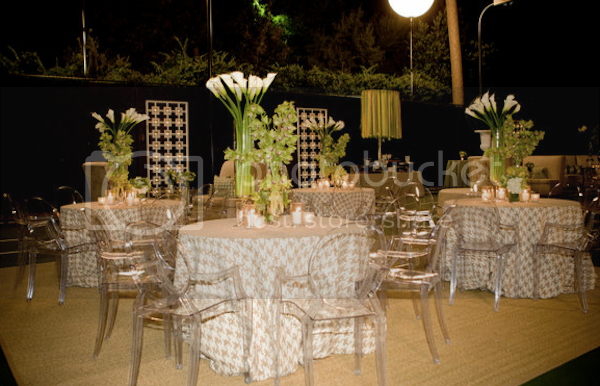 Events in Bloom covered areas of the court with seagrass rugs and they brought in tables set with ghost chairs and different styles of banquettes to create lounge areas throughout the space. 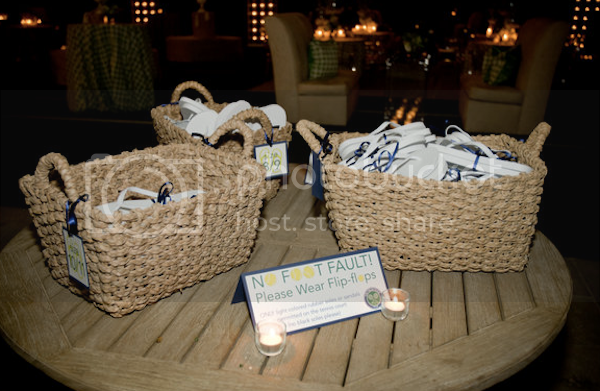 Flip flops were available for the guests who wanted to get more comfortable or forgot that they could not wear heels on the court. I wore wedges...problem solved. 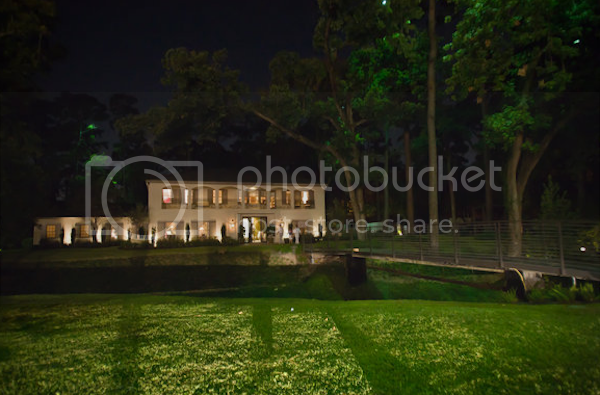 We were wined and dined by A Fare Extraordinaire which is one of the best catering companies in Houston. 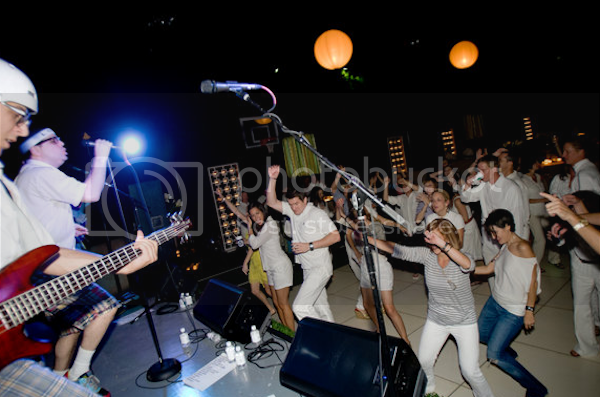 Then, The Spazmatics performed!!! If you are from Texas, you just might be familiar with this outstanding 80's cover band! I had a guess they were going to be the surprise entertainment and I was right! SO.MUCH.FUN. Can you see the stage?! 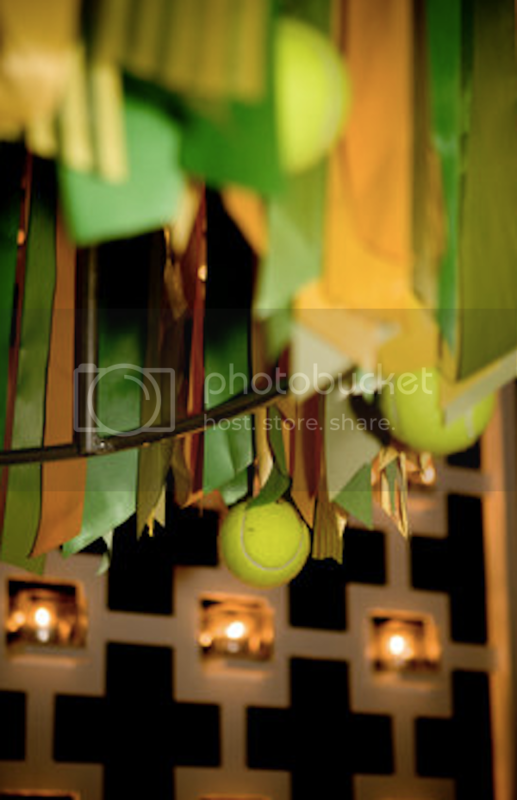 Those are tennis balls placed throughout the greenery on the facade! I love this picture. Everyone was asked to wear "tennis whites" and sweet Valerie, a current Belle (Belle of the Ball), said she came dressed as the tennis ball!! Love that story! 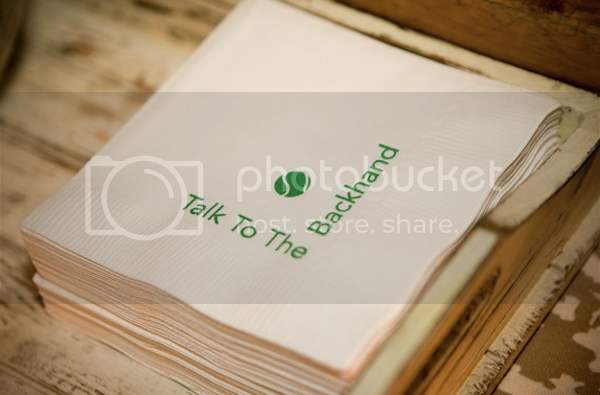 As we left, we were handed tennis ball cans which were filled with sweet potato chips dusted with powdered sugar...a signature dish of A Fare Extraordinaire. Delicious! And to complete the evening, when my car was delivered to me by the valet, this small card was hanging on my rear view mirror. Seriously, Christine never leaves a detail out! 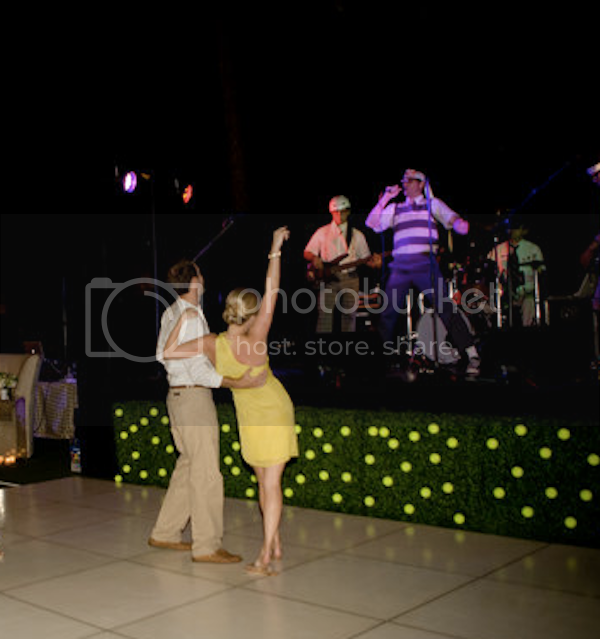 I just couldn't leave you without a few real party pics! Here I am hanging out with some of my best friends, guests dancing the night away to the 80's cover band and the hosts of the evening, Ty and Christine. Thank you for an unforgettable evening! Can't wait until the Second Annual FTC! 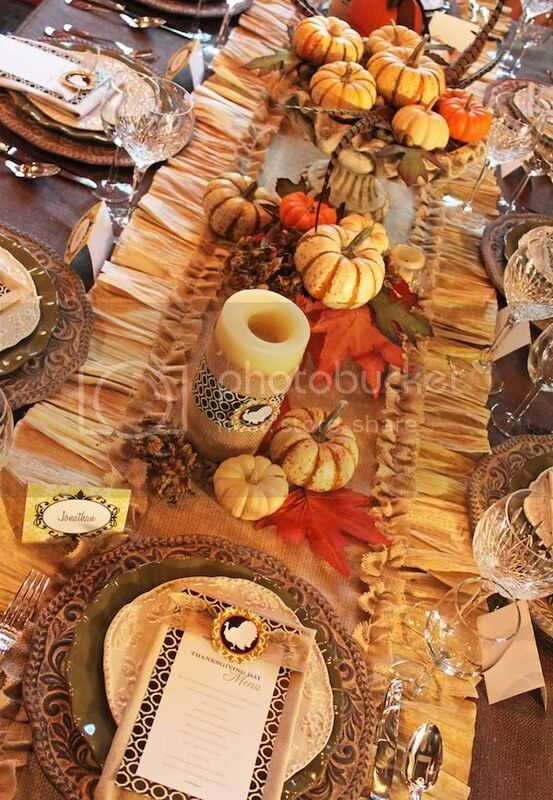 Amanda Parker of Shindig Parties styled the most gorgeous Thanksgiving table! 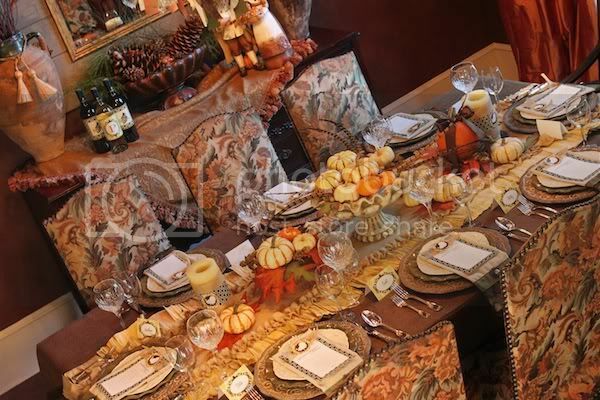 What I love most about the table is how warm and welcoming it is. It is full of beautiful details, but it doesn't feel too fancy and untouchable. 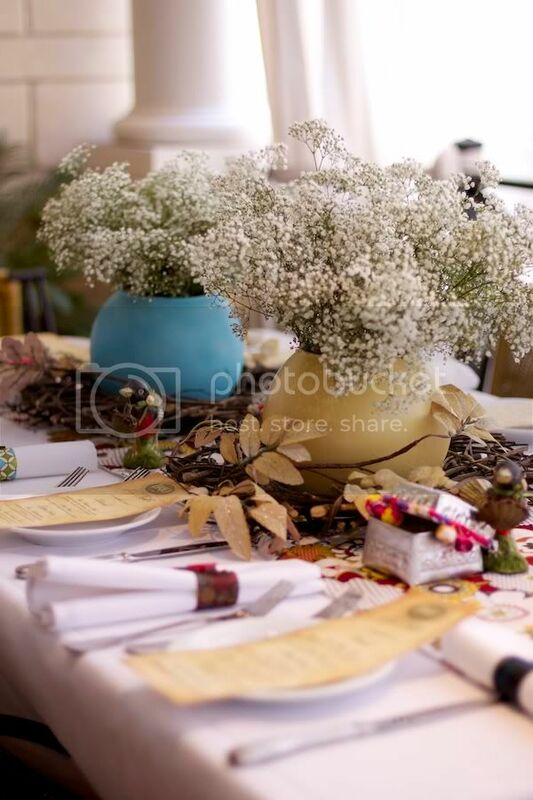 Below you will see a handful of pictures from the lovely table, but be sure to visit Amanda's blog to see many photos of the well styled dessert table. 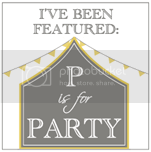 ALSO...Amanda is offering P is for Party readers a chance to win the printables seen throughout the Thanksgiving tablescape as well as the personalization of up to 24 placecards or buffet cards!! Please read below on how to enter. 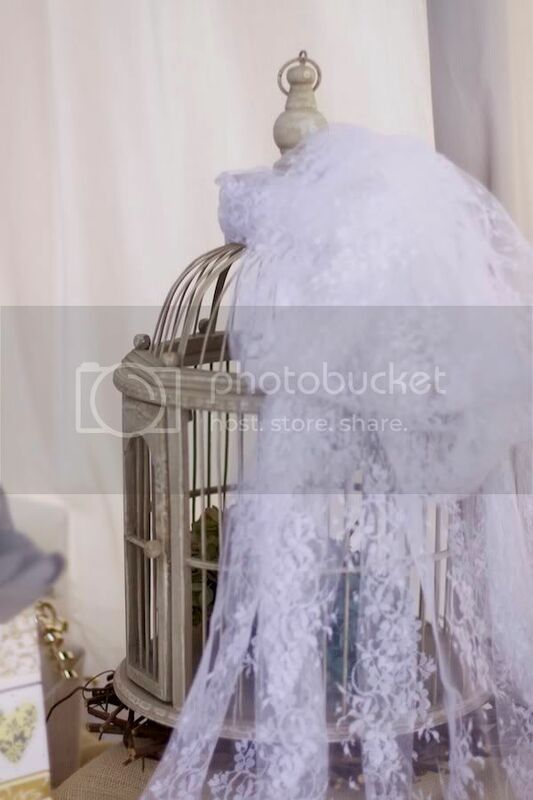 The ribbon chandelier makes such a big statement, but is easy to put together...no sewing involved! 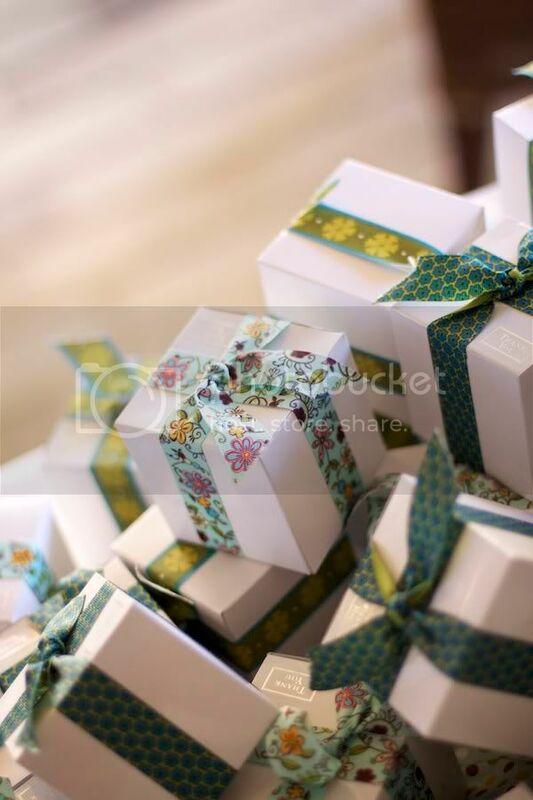 The ribbon is a garland and all you need to do is find the fabric of your choice and cut and tie! 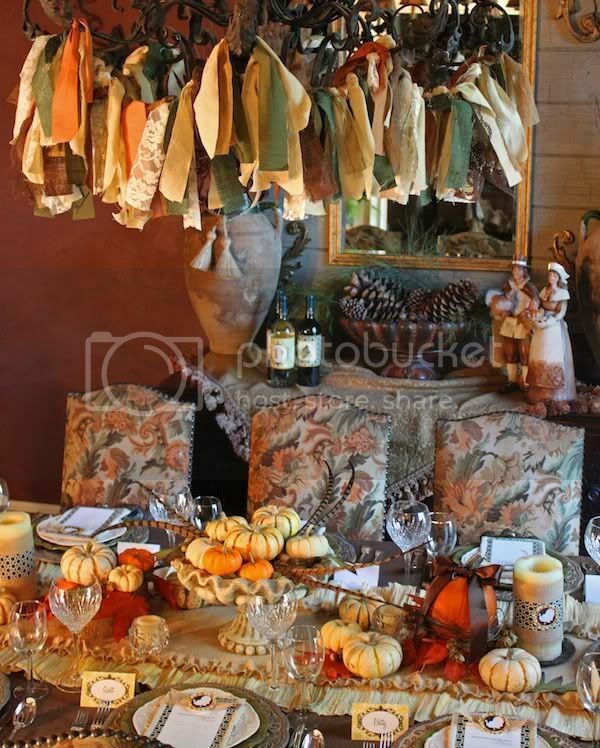 The corn husk table runner is so inventive and can easily be made as well. Visit Amanda's blog for the step-by-step instructions. 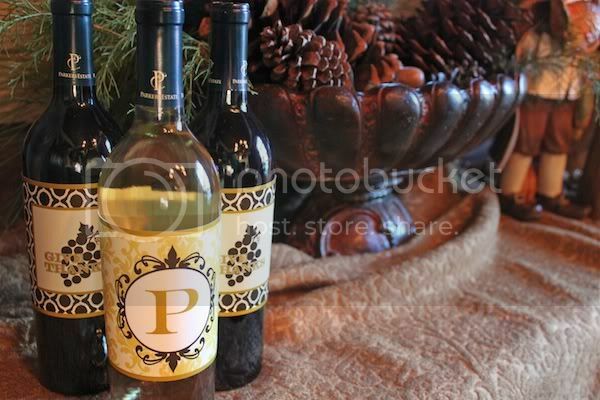 I love the wine bottle labels which Amanda will customize for you with your family initial. 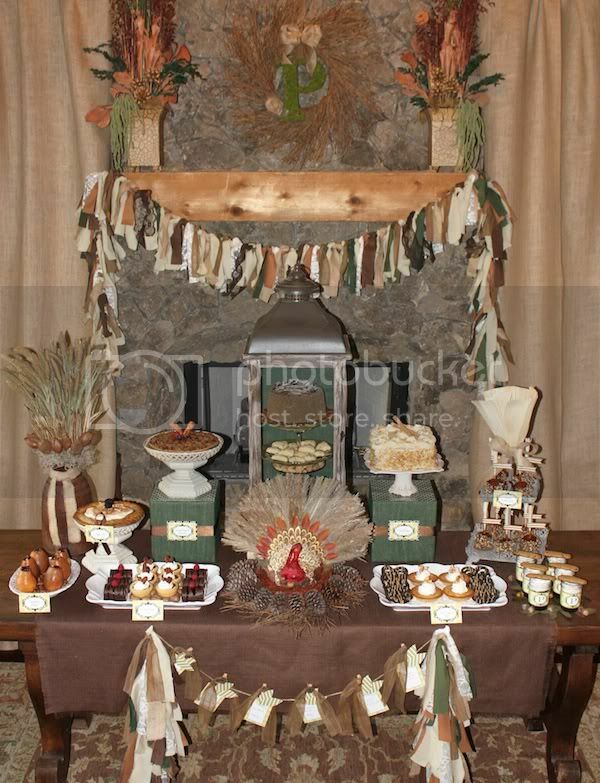 As is the tablescape, the dessert table is equally gorgeous! 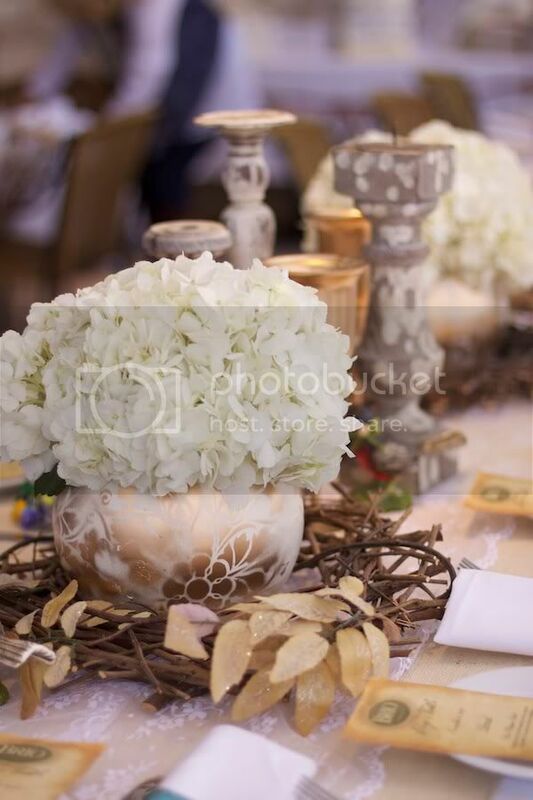 Be sure to visit Amanda's blog for lots of close up pictures of the beautiful desserts. * Are you a fan of Shindig Parties TO GO on Facebook? Amanda would love for you to join her. Let us know if you are already a fan or if you just became one. Earn an extra entry by doing any of the following. Please be sure to leave a separate comment for each of your comments. The contest ends this Thursday and all entries need to be in by 5:00 PM CST. Good luck! * Are you an official follower of P is for Party?? If you are, please let me know. If not, I would be so happy if you became a follower! * I would love for you to join me on Facebook as well! 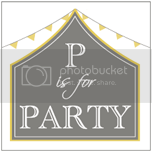 Please let me know if you already "like" P is for Party or if you just joined the party.